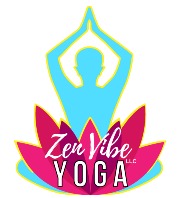 Zen Vibe Yoga, LLC specializes in At-Home Private Yoga lessons [studio space available] and On-Site Workplace Yoga classes, allowing the comfort of your home or office to provide the backdrop of customized yoga sessions and classes. With Zen Vibe Yoga, LLC you will receive a personalized yoga experience to meet your unique health and wellness goals. Our focus is to adjust the yoga poses for the person, rather than the person for the yoga poses. Find out more on our Owner & Founder, here.